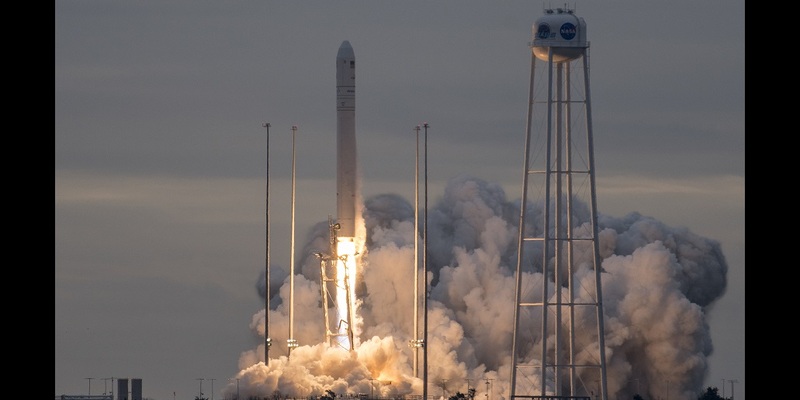 Orbital ATK successfully launched its Antares rocket carrying a Cygnus spacecraft today at 7:19 a.m. EST, from NASA’s Wallops Flight Facility in Wallops Island, Virginia. The launch is Orbital ATK’s eighth cargo delivery mission to the International Space Station for NASA. During the mission, designated OA-8, Cygnus will deliver vital equipment, supplies and experiments to the astronauts aboard the space station, as well as conduct scientific experiments onboard Cygnus while docked with the orbiting laboratory. The Cygnus system consists of a common service module and pressurized cargo module. The service module was built and tested at Orbital ATK’s manufacturing facility in Dulles, Virginia. Orbital ATK manufactures several other Cygnus components at three of the company’s facilities in California: UltraFlex solar arrays in Goleta, composite structures in San Diego and propellant tanks in Commerce. NASA has been working on this for a long time. It is remarkable. Going out of the space was beyond imagination, but they made it possible.